Today is Yarn Rascal’s third birthday and I want to wish him a happy birthday. Later today the yarn vault will be wide open and he can play among the yarns for a little while under my watchful eye. The snow has arrived. And as always, from my big mouth to the ears of powers-that-be, we are getting a lot more than expected. So much for the storm hugging the New York City area. I haven’t had time to dig out the car and take it for a test drive as I’ve been busy shoveling for Yarn Rascal. He gets very excited when it snows so this is like an extra birthday present for him. He goes out as a dog and comes back in as a large snowball with four little legs. Work has begun on the Feeling’ Groovy baby sweater. 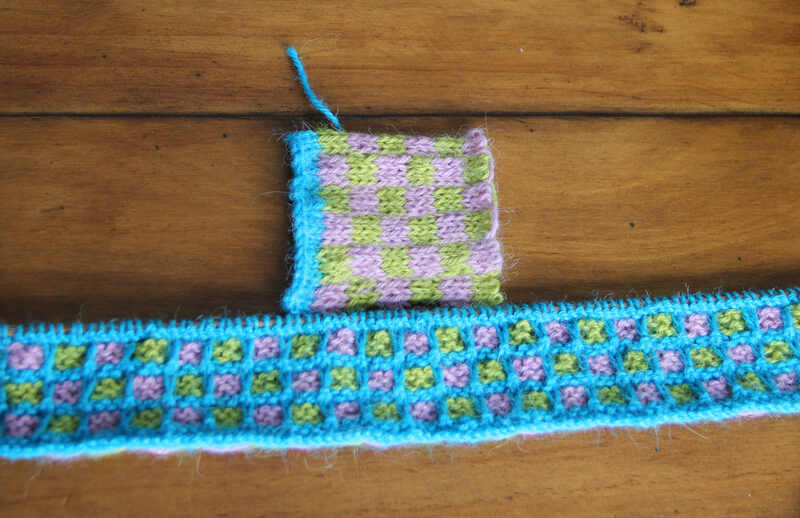 Not actual knitting, but a review of the numbers and the selection of technique for the color work. Reading about facings and deciding whether they will be knitted on or sewn on using grosgrain ribbon is today’s goal. I don’t like the idea of the ribbon in the neck area for a number of reasons, but mostly because it will lack the stretch the area needs. The facing must be decided before I start to knit. Once again, I’d like to say Happy Birthday Little One. I couldn’t do this cancer thing without you, my little angel. At some point tomorrow we’re suppose to get snow. About 3 to 6″ (8 to 15 cm) with the bulk of the storm staying east of us. If we get 6″ (15) cm it will be a good time to test out the new car and see how it handles both in plowed and unplowed snow. My last one went in anything. It particularly did well in deep unplowed snow. We’ll see what the talking car does in a pittance of snow. On the knitting front, the Rock Island Shawl has been a bad boy. As of today it is being put in a time out so it can think over its atrocities. I only have 24 rows of lace to knit over a little less than 300 stitches and it can’t seem to get its act together. Instead I will work on the second version of Ming Blue which I now call Feelin’ Groovy. This is how it looked before I took the scissors to it. Since then I rethought and will rework the color work borders. Colors are affected by the colors next to them. The lime green immediately next to the pink muddied the vibrancy of the pink color. Inserting a turquoise stitch between the two gives them back their individual vibrancy. The patch pockets are gone. When was the last time anyone saw a baby walking around with its hands in its pockets? The knitted on facings at cuffs, hem and neck is also jettisoned. If a facing is needed it will be a satin trim. The Nehru / mandarin collar is staying, though I may tweak the numbers. The sleeves will be reworked to make them tapered rather than lantern in shape. I am undecided about the button placket and whether I should do away with it, substituting frog closures instead. Or keep it and just rework a different pattern placket. I am also undecided about the pattern for the body of the sweater. Do I keep it as is or make it simple st st? This is particularly thorny because the silhouette calls for steady decreases on each side from hem to chest. Since it seems a number of knitters do not understand how to decrease while keeping in pattern, I’d have to write it out for them. This makes the pattern much longer than what it needs to be. There must be a compromise here that I haven’t figured out yet. The art of masochistic knitting starts with selecting the right pattern, needles and yarn. What is the “right” pattern? 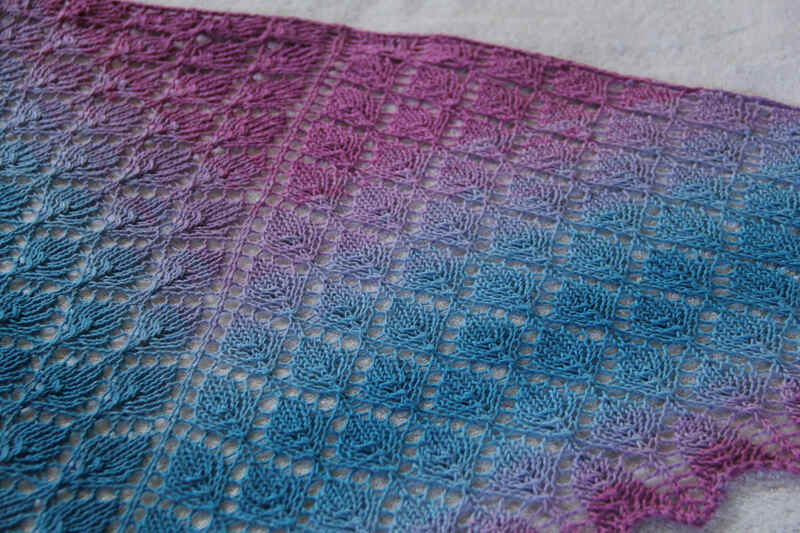 The right pattern contains predominately lace that is created on both wrong side and right side rows and therefore does not provide any rest rows of purl or knit. Decreases with slants that are inherent to the look of the pattern, yarn overs that are distant from their balancing decreases and central double decreases that must specifically occur in specified spots repeatedly in order to ensure proper shaping make up the “right” pattern. You know you are practicing the art of masochistic knitting when the possibilities of an errant stitch are many: failure to use the correct slanted decrease or missing the decrease altogether, omitting yarn overs due to confusion, adding yarn overs due to confusion, losing the specific spot for the central double decrease when the stitch marker either A) falls from the needle, or B) just doesn’t match where you think you are in the chart. Speaking about charts. The “right” pattern will contain a chart that is so small you need reading glasses and a magnifying glass to see one square. The chart, though tiny, covers an entire page. You are truly practicing the art of masochistic knitting when you have no idea how to use your copier to enlarge the chart and therefore must work from the teeny-tiny version. The “right” pattern will also call for working an intricate lace pattern over no less than 300-500 stitches in one consecutive go-round. If the pattern requires continuous working of 500 to over 1,000 stitches you are into the Fine Art of Masochistic Knitting, and that’s a whole other category. The “right” needles are the next tool in the art box. Any needles that have a super fine, slick, metal surface are the “right” needles. To test whether they are slippery enough, cast on 30 stitches and knit one row. Then hold the needle with the tip pointed downward. If all the stitches slip from the needle faster than a seal on ice slips into the sea, you have the “right” needles. Next is the “right” yarn. It must be lace weight or finer. Gossamer is ideal. Thin and wispy, a yarn that won’t tolerate any ripping back is key. This increases the pressure to get the knitting right the first time. Pressure is as important to masochistic knitting as air is to human beings. If you can only knit at night, choose a dark, dark yarn. It will be harder to see and along with the ethereal quality of the yarn reading your stitches will be impossible. Remember, in masochistic knitting where you think you are in the chart and where you truly are will not coincide. The number of stitches you need on your needles to complete the pattern will not be the number of stitches you actually have on your needles. But don’t fret. It is too dark, the yarn too thin, the needles too slippery, the number of stitches too many to make an exact count of what is really on the needles. 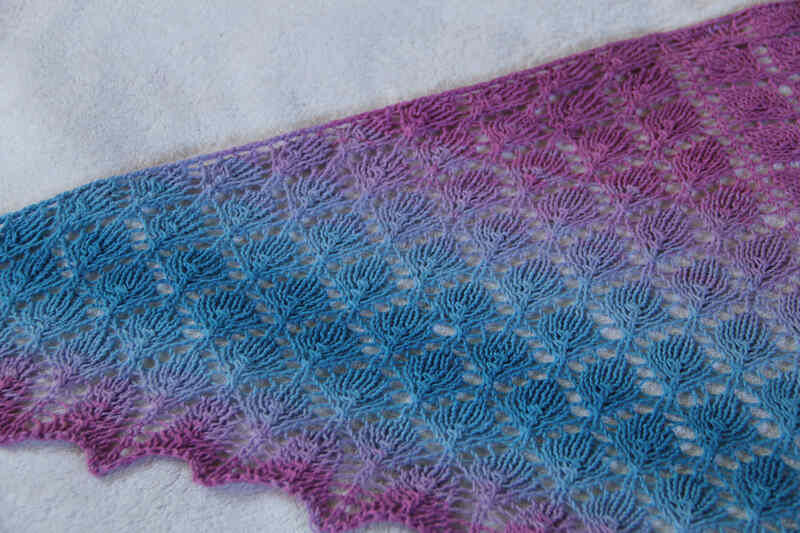 Last month I finished the Lace Leaf Shawl by Mary Henderson. It started out as a KAL with Claire and a few friends back in April. I love the way it turned out. The yarn is Schachenmayr Select in Tahiti. 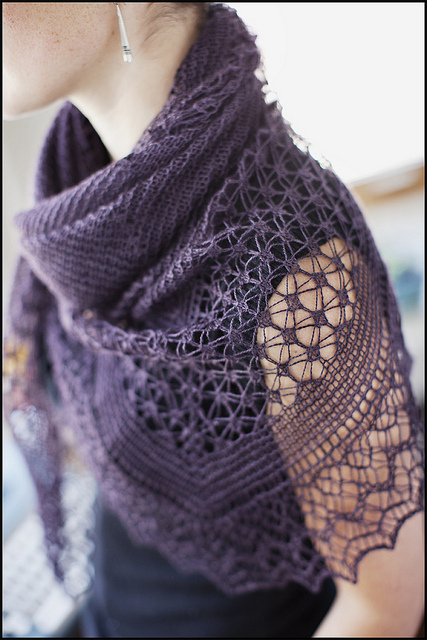 One ball is all you need to create the shawl. Clair had a drawing to see who among the KALers was lucky enough to receive two skeins of lovely merino yarn. I never win a thing so I was surprised when I was picked! The yarn was lovely and I knew immediately upon seeing it what I wanted to make. I’d love to be able to tell you the yarn and colorway, but Yarn Rascal ate the labels before I could jot down the information. Both with the holidays and the full moon he was a little besides himself when he ransacked the craft room and broke into the yarn vault. 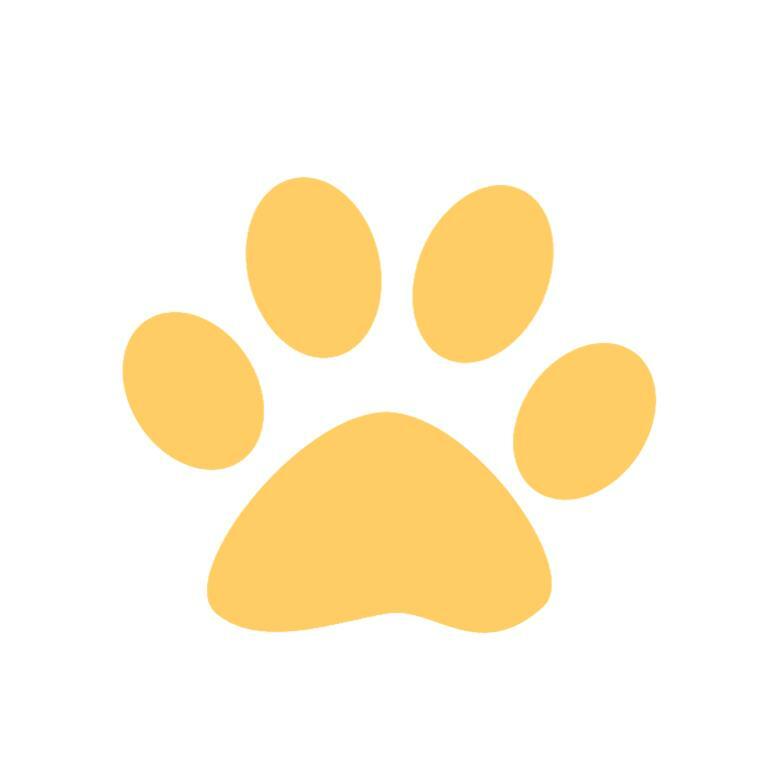 He did receive an end of year Golden Paw Award for his effort. It’s become personal between me and my current knitting project, The Rock Island Shawl. Yes, this is the project. I’ve completed the 568 rows of knitted lace that comprise the edging. No small feat since lace is worked on both RS and WS rows. I judiciously used a life-line moving it every 8 rows and still had a number of rip-backs occur that made it feel like the edging would never get done. I’ve picked up and knit all the edging stitches. I’ve knit somewhere around ten rows of garter stitch, obsessively counting each of the almost 300 stitches at the end of every row to make sure I had the correct number going into the next major lace portion of the shawl. I am still not completely sure that I kept the center stitch the same in each of the 10 rows. I think I messed up in one row, but I don’t know which one and I will cry if I have to rip back to the picked up edging. As of yet, I haven’t shed tears, but there were moments when I was oh so very, very close. I am hoping that if I wiggled on the center stitch in one row, blocking will take care of it. The next portion of lace worked on both RS and WS rows totals 24 rows over some 300 stitches. Stitch count does not stay the same row to row. However, the center stitch, which is really three stitches decreased to one, does stay in the same spot…theoretically. Before I began the 24 row portion of lace I ran a nice long life-line through all the stitches. Last night I spent 3 hours working on the shawl and I am still at the beginning of the 24 row lace work. I consistently failed to get correct stitch count at the end of the first row. I tried reading the 300 stitches to see where the mistakes were and couldn’t find them. Then I ripped back. I did this repetitively. I did this for 3 hours. When I laid aside the shawl, I realized it had become personal. No way am I going to let these 24 rows beat me. Tonight we do battle again. My goal is to at least successfully complete the first row of the 24. If I am really on a roll I may even complete the second row correctly. I just know at some point I am going to end up in tears.